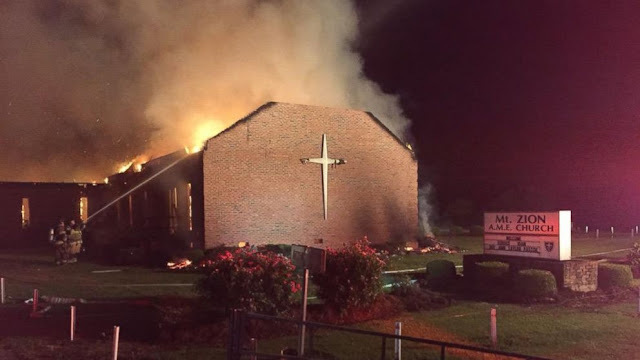 Over the last week or so, there have been numerous church fires across the southern United States. There hasn't been much coverage and people began expressing concern over the fires online using the hashtag #WhoIsBurningBlackChurches. So far, of the seven fires, all but two have been ruled accidental or natural. Thankfully, pending any further investigation, the burnings of these churches isn't hate related so soon after the shooting of nine people at the Emanuel African Episcopal Methodist Church in Charleston, South Carolina. 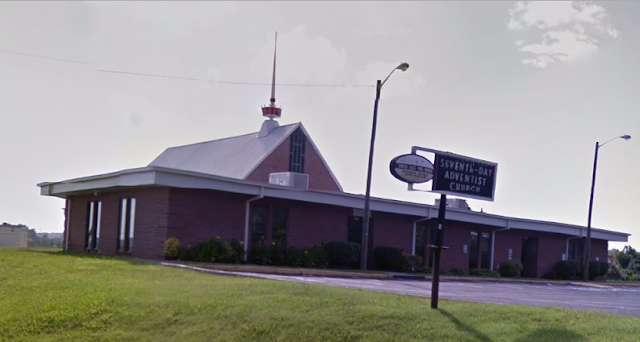 On Monday, June 22, the College Hill Seventh Day Adventist Church in Knoxville, Tennessee was burned down when someone stacked hay against the doors and lit the bales on fire. Investigators believe that while this fire was arson, it wasn't race related and was probably vandalism. 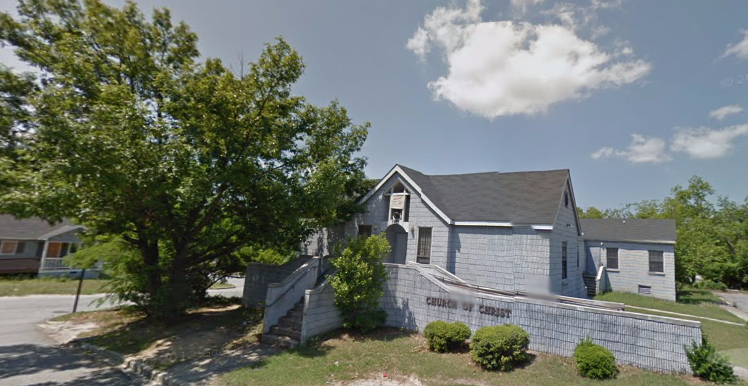 The next day, on the 23rd, God's Power Church of Christ in Macon, Georgia was burned down. The fire is still being investigated but officials are saying it was arson but related to vandalism. The church had been broken into in recent weeks. The Briar Creek Road Baptist Church in Charlotte, North Carolina burned down the next day. While no evidence has been released about the fire, preliminary reports point to arson. 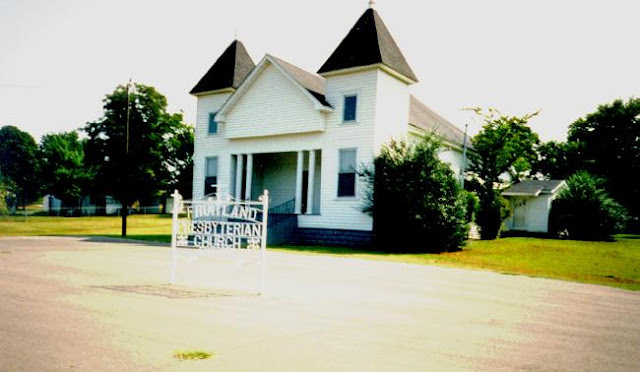 That same day, the Fruitland Presbyterian Church burned down. Investigators have said that lightning was the culprit. Ruins of the Glover Grove Baptist Church. Photo from Sam Sanders/Twitter. On Friday the 26th, the Glover Grove Baptist Church in Warrensville, South Carolina. The cause is still being investigated but initial findings show no evidence of arson. The College Heights Baptist Church in Elyria, Ohio also burned down the following day on Saturday the 27th. That fire is also being investigated but officials are saying that the fire was not intentional. Photo from Clarendon County Fire Department/Twitter. Last night, Mt. 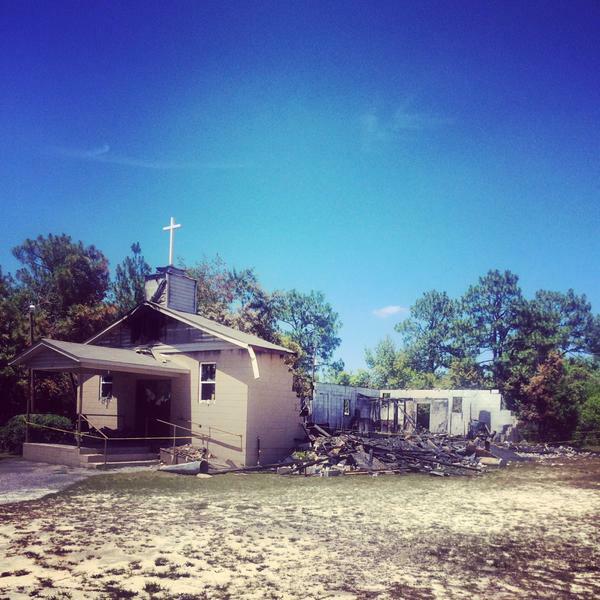 Zion AME Church in Greeleyville, South Carolina burned down. This was a church that had been burned down in 1995 by the KKK. Officials are running this as a fire caused by a lightning strike. Church is supposed to be a safe place and one thing we can do as Americans and as humans is stand with these churches in their time of need. Churches can provide a place of belonging and pride in a community, especially in small ones. Those churches need to be respected no matter the congregation or belief. While I am glad that it seems like most of these fires are accidental or at least not a purposeful hate crime, it's telling that people initially thought that. And with all the outrage over wanting the Confederate flag taken down and once again being forced to look at race relations in this country, it's not hard to imagine why people would immediately jump to that conclusion. In 1996, the Mt. Zion AME Church was rebuilt and rededicated, with President Clinton visiting. He gave the church a plaque that read: "We must come together as one America to rebuild our churches, restore hope, and show the forces of hatred they cannot win." The longer America stays silent on this matter--and all matters of racism--the forces of hatred get more powerful and get harder and harder to stop. I don't really know anything about Little League baseball or parks and rec baseball or whatever this is supposed to be but wouldn't the game just get rescheduled?